When I first started serving coffee at the age of seventeen I didn’t know much about beans, or roasts, or even what constituted a good cup of coffee. The word extraction was pretty foreign to me, as was ‘single origin’, crema, and a lot of other terms that I now find myself using pretty regularly. One of the biggest areas of confusion for me was espresso roasts versus an espresso grind. I knew that we were grinding an ‘espresso blend’ at the shop I worked at but there was a lot that didn’t make sense to me. What happened if we ground a light roast like it was espresso? Would the universe explode? As it turns out, serving light and medium roasts as espresso isn’t as crazy an idea as I had initially thought. When I moved to Denver in 2009 and started serving espresso up there I was hired at a café that ONLY cared about light and medium roasts. I was confounded – no dark roasts were to be found, and certainly no espresso roasts. The darkest, ‘espresso blend’ that was ever used was a medium roast that was a little closer to dark than the others – but not by much. It was very eye opening for me. What I learned about lighter roasts for espresso was not just that the extraction process was subtly different, but that (assuming the shot was pulled competently) there was a lot of opportunity for brighter nuances and more acidity. Light roasts used for espresso – especially single origins – can offer all sorts of complex flavor profiles that an extremely dark, espresso roast really can’t. As long as a coffee is ground finely enough for an espresso machine, it can make espresso. One of the of the first struggles I had as a barista trying to work with lighter roasts for espresso was finding that calibrating my grinders was not exactly the same. 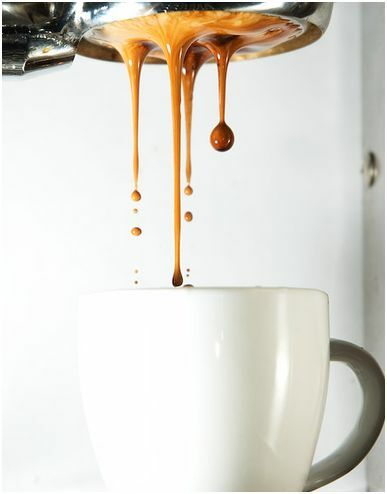 I would tamp the shot at the exact same pressure, adjust my grind setting where I wanted it, infuse the shot for the exact same five seconds (timed) and pull the shot for the exact same amount of seconds (yet again, I used a timer). And yet the shots didn’t come out right. What I learned was that the grind for a lighter roast needed to actually be slightly more coarse than a darker bean – there was a sliding continuum, the darker the bean was the finer it could be and if I was using very light single origins I often needed to grind the espresso much courser than I felt was right. It was the only way to get high quality extractions within the split second time frame I was aiming for. A lot of people I have met swear by very dark roasts, especially in my family where espresso roasts are used all the time – for press pot, drip, and anything else. Yet from my experience as a barista, serving espresso all day long, I found that as I mature as a coffee fanatic I become fonder of lighter roasts – even in espresso. It is harder, in my opinion, to get great looking crema on an espresso shot that doesn’t hail from a good dark roast, and if the time and patience isn’t taken into properly calibrating the grinders and infusing the shots it is very easy to make bad light roast espresso. But with practice it can be done, and offers a lot of very bright nuances that a ‘run of the mill’ espresso roast simply can’t.